Jade Collins is a 19 years old teenager. She has just completed her degree for Media Makeup at the College of Fashion, in London. Just as she is done her last day at college, she is offered a job as an assistant to a expert Makeup Artist, reason being her high interest in makeup and because of her newly-earned degree. She quickly agrees because of the high pay. 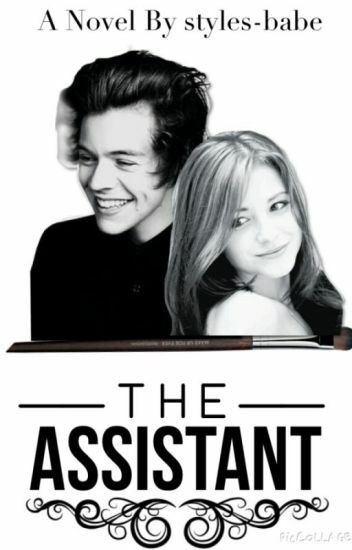 What she doesn't know is that she is chosen to be an assistant for Lou Teasdale, One Direction's Makeup Artist. Jade discovers many different things that she never knew before; some about herself and some about others. In this painful journey, she somehow starts to find interest in a certain lad. Join Jade and Harry and be intrigued by their unique, yet strange, love-story. 4: No! They're My Oreos! 12: Sugar Rush Kicks In! 13: Don't Mess With The Payne Train! This is the story of an endless love between two young people bound together by their love of music (and chocolate). Hazel Murray is a young girl living in a small American town who only dreams of one thing: travelling around the world. She is a sweet young girl that enjoys the simplest thing in life. One, day, a call changes drastically her life. For the best? Harry Styles is a teenage boy signing in the worldwide famous boys band One Direction. One day, a fan tagged his best mate Niall on the video of a cute YouTuber. This one video that will change everything. For the best? When someone hands you the opportunity to make your dreams happen, would you take it even with the crazy conditions? That's the decision Cailin Reed had to make when she was offered to join the band 'All Oblivion'. A boy band made up up Harry Styles, Zayn Malik and Louis Tomlinson. The band of the three boys had only started to make it into the lime light and yet their manager thought of the brilliant idea to bring a girl into the band. Cailin is brought into a world of crazy rumors, betrayal and falling in love with someone who she's not supposed to. Little did she what she had in hold for her after she signed that dotted line. Change For Me, Harry Styles. Olivia Is a senior in high school. Shes new to the system, and is a shy one at heart. Her mum isnt ever home and her dad is in rehab for drinking. Will  Olivia be able to do this alone? Will she make new friends? will she let bad boy Harry Styles steal her heart? will she learn her mistakes when she finds out shes a bet? Will Harry keep using her? Will he ever change for her? And when he says he loves her, does he mean it? "Don't be scared Kitty Kat we will see each other again soon i promise" 8 year old Harry said to Kat. "Well this is goodbye then" Kat said to Harry "Don't say that, we will meet again i promise" Harry said and kissed her cheek. "Kat" Her dad called "Our flight is going in 5 minutes,c'mon say bye to Harry"
What happens whan Kat's friend Emily drags her to a One Direction concert?,will she see Harry again? Melanie was a fan of One Direction, but she never knew how close she would get to a certain Harry Styles. After her friend gave Harry a slip of paper with writing and a picture of Melanie on it during a concert, Melanie gets a surprising text from Harry Styles. Will these two fall in love with each? Harry just wanted to party for his 21st birthday. Riley just wanted to forget about her broken heart. But neither of them wanted to wake up with rings on the left hand? What will Riley and Harry do? Alyssa Sander is 19 years old, but she doesn't like One Direction. But what happens when One Direction's Liam Payne hears her singing in a bathroom at the concert and hires her to sing with them for a year on tour? While on tour, she is asked to pretend to be Harry Styles' girlfriend because of the bad publicity since the breakup between him and Taylor Swift. There was bound to be paparazzi here, basing that he's Harry Styles. He bent down on his knee and held out a box with a ring in it. "Do you want to be my girlfriend?" I was startled, but then he mouthed the words "publicity." "Yes!" I exclaimed, pretending to be happy. Summer is a normal girl with blonde hair that goes down to her mid back, she has hazel eyes, and a curvy frame. Oh and her childhood best friend is Harry Styles of One Direction. When Harry comes for a visit during Christmas, he asked Summer if she would come on tour with them. She says yes and discovered feelings for Harry she never had before. Will Harry have the same feelings or will she forever keep her feelings bottled up? In a futuristic society, love is 'found' through matching bracelets, that are assigned by the government. It is simple system - if the man in front of you has the same bracelet symbol as you, then you are meant to be. But there was one flaw - what if the bracelets were switched, through a third-party? Will their compassion shine through and be able to defy society's view of 'love'? Or does fate have something else in mind? Harry is on a hiatus with One Direction and comes back to his old town, Holmes Chapel,  to spend some quality time with his friends from his childhood and family. But when he runs into Emma again, and everything will be messed up.